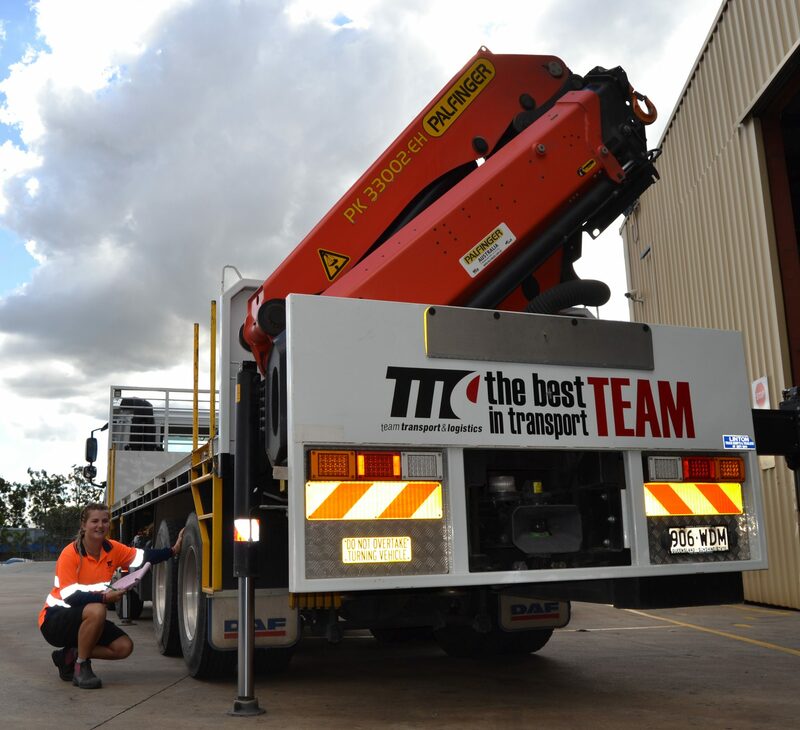 Team Transport & Logistics can now offer you a vehicle and machinery hygiene inspection and washdown service on site in Carole Park. Our certified inspectors are fully trained to provide washdown services and issue Weed Hygiene Declarations under the nationally recognized AHC21010 Certificate II in Conservation and Land Management. Additionally, we are QGC, Arrow, and Origin Energy certified. 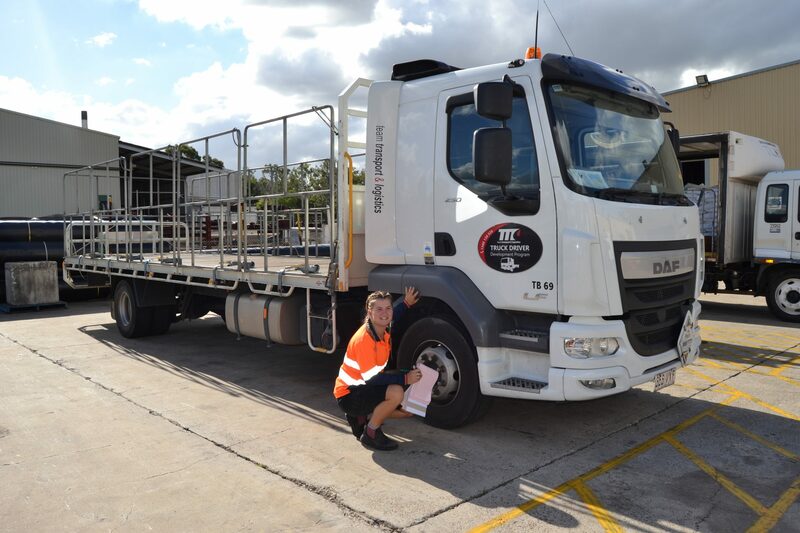 We provide an efficient service to meet statewide clean-down standards, and we distribute a vehicle/machinery inspection certificate on completion. Our inspectors are available on and off site. Our Carole Park facility is practically a “Drive-Thru” for westbound traffic as it is located adjacent to the Carole Park off-ramp, directly off the Logan Motorway. We are equipped to wash trucks, trailers and light machinery up to 20-tonnes (no tracked machinery). We have a full washdown pad with high-pressure water and air that can be either hot or cold. We also have oil and grease catchment tanks for added environmental protection. On top of this, we also have use of a larger facility in Fisherman Island for tracked machinery and equipment exceeding 20-tonnes. First, a visual inspection of the vehicle is made, including the radiator, wheel wells, running boards. We take particular care in inspecting the carpets, floor mats and seats within the cab. Any suspicious seeds are brushed of prior to leaving a site. If seeds or vegetative materials are found or cannot easily be removed, the vehicle is taken to a designated facility within the core infestation area and procedures under the “washdown” recommendations are followed. The operator must ensure that all personal effects including toolboxes, equipment and clothing are free of contaminants prior to moving offsite. All exposed areas of the vehicle are cleaned using compressed air, a vacuum, brushing or a high-pressure spray. Particular attention is paid to the carpets, floor mats and seats within the cab, wheel wells, running boards and radiator. The operator must ensure that all clothing, toolboxes and storage compartments are free of contaminants prior to leaving a contaminated area. Every washdown should be conducted at a designated washdown facility. All reasonable effort must be made to ensure that the operator and the vehicle, toolboxes and equipment are free of contaminants prior to leaving an area. Q1. Why Do I Need to Have a Weed Hygiene Declaration? This offence may incur a penalty of up to $40,000. The movement and transport of machinery, vehicles and equipment from and to certain regions is a major source of continued outbreak and spreading of noxious weeds. Fines may be issued for the negligent spreading of weed infestations as a result of poor vehicle, machinery and equipment hygiene. Q2. Can I be Fined if my Vehicle/Machinery is Not Washed Down? Moving or transporting by road without taking reasonable steps to restrict the release of weeds, or to ensure a vehicle is free of the reproductive material of a declared pest, has a penalty of up to $20,000. Q3. What Are the Two Parts of the Weed Hygiene Declaration? The Weed Hygiene Declaration (Part 1) was developed to inform people about the weed contamination status of vehicles and machinery. The Weed Hygiene Declaration (Part 2) was developed to provide assurance that a vehicle is clean or a vehicle’s load is secured to restrict the release of soil or other organic material that is likely to contain the reproductive material of a declared pest prior to moving or transporting the vehicle or thing by road. Our transport company services all industries, including the residential and commercial building industry, mining, oil, gas, engineering & construction and civil infrastructure projects for privatised and government sectors. For more information on anything you’ve read here, get in contact with us online or by calling 1300 645 106.